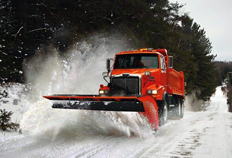 Heavy-Duty Driving Tips for Heavy-Duty Trucks in Winter! Driving on a snowy or icy road can be nerve-wracking in a compact car, but add tens of thousands of pounds of truck to the equation, and it can feel even more daunting! Heavy-duty trucks must stay out on the roads in winter in order to carry out their daily tasks, but it is important that they stay safe as well. With snow storms showering the country, we can already expect the remainder of this winter will have equally bad weather. Luckily, that does not mean that your safety is automatically jeopardized: read on to find out some of Baltimore Freightliner-Western Star’s top tips for driving heavy-duty trucks in winter. One of the main things that you can do in order to stay safe on winter roads is to ensure you are focused on the task at hand. Distracted driving accounts for a large percentage of automobile accidents on the road; couple that with a slippery surface due to ice and your chances of getting involved in such an accident increase significantly! Drivers should not talk on the phone, text, or eat while operating a heavy-duty truck; it is for their own and other drivers’ safety. If you are out on the road while snow is falling, it may make seeing what is in front of you, not to mention to the side and behind, much more difficult. During a snowy drive, reduce your speed and give yourself plenty of room between your heavy-duty truck and the other vehicles on the road. You should budget for this extra time spent traveling when deciding on delivery or pick-up schedules during the winter season as well! Stay safe on the roads this winter with good driving practices! 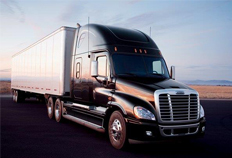 As we discussed in a previous blog, Daimler Trucks North America’s new Detroit Assurance package has come over from Europe to wow truck drivers stateside with its safety innovations. On November 14, DTNA demonstrated the system’s capabilities to showcase the new technology it is using and will be incorporating into the Freightliner Cascadia and Cascadia Evolution models starting in early 2015. Read on to find out more about Detroit Assurance and what stood out in this month’s demo! The safety features of the Detroit Assurance Package have been described as the stepping stones towards a future of fully-autonomous vehicles. 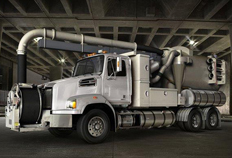 While we may not be quite there yet, Detroit Assurance does include a number of technologies that will no doubt be incorporated into those types of trucks one day. A highlight of the safety system is its collision-mitigation system, designed to prevent accidents with an active brake assist control. Likewise, the package’s land departure warning camera can stop accidents from happening and keep drivers safe while on busy roadways. By using “smart” trucks such as ones equipped with the Detroit Assurance system, drivers will have their own safe practices augmented. In emergency situations, this system has the potential to save lives, and the increased safety also means decreased risk to your truck fleet investment as a whole. With their continued commitment to improving the trucking industry as a whole, DTNA is bound to implement this system and ones like it into many different models for years to come. Truck sales across the board have been skyrocketing, and it is not difficult to guess why. With so many businesses coming out of the recession with strong resurgences in sales and fleet owners looking to update their older equipment, buying trucks right now just seems to make sense! But when it comes to adding to your fleet, you do have a few different options as to how to go about it. Some opt for the brand new truck models that have been released within the past year, while others choose to go for used trucks instead. So which would make the best bet for your business? Read on to find out! Some fleet owners figure, if you are already going to make the investment in new vehicles, why not spring for something new? Many of the newer Freightliner and Western Star models available have the benefit of some of the latest technologies: specialized safety software, better fuel efficiency, and high-powered engines, to name a few. While these brand new purchases might constitute a larger investment, it is one that will definitely pay off in the long run. For those fleet owners on a budget or looking to expand their fleet slowly, a used truck may end up being the better bet. Used models are not necessarily outdated, and many do include the same features as some of the latest trucks on the roads. The biggest benefits of a used truck is likely going to be price; a lower initial price may be appealing to fleet owners who are not quite ready yet to take the plunge for something fresh off the lot. Luckily, Baltimore Freightliner-Western Star has a large selection of both new and used trucks, so no matter what you are in the market for, we can help! 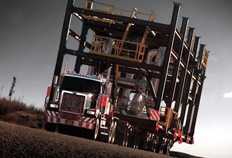 Piling on to the latest round of good news out of the trucking industry, Daimler Trucks, the parent of Freightliner and Western Star trucks, is reporting stellar sales figures for their third quarter. Where did the bulk of these sales come from? According to Daimler, from their North American vehicle sales, which have been showing promising increase since the end of the recession. Read on to find out more about what these sales increases mean for fleet owners everywhere, and how you can participate in this exciting time for trucking! For their Freightliner and Western Star sales in North America, Daimler reported an incredible 25 percent increase- that’s over 40,000 units!- during their third quarter. In the United States alone, the percentage of increase was 28 percent compared to past quarters. What can we attribute this rise in demand for quality trucks to? For one thing, as businesses nationwide start to recover from recession losses, they are once again able to expand, and that means expanding their fleet of trucks as well. Another contributing factor has been the overall improvement of truck design motivating fleet owners to seek out these innovative new models. With better fuel efficiency, safety features, and aesthetic appeal, it is no wonder that the new trucks from Freightliner and Western Star are drawing so many buyers. The positive sales figures from Daimler are indicative of more than just a short-term success for the trucking industry. They show us that economic growth on the whole is to be expected in the coming months, and that is good news for everyone.